Guest Bio: Irene Chain-Kalinowski is a registered nurse and registered midwife with a post-graduate degree in health sciences. She has served as a midwife in the Middle East, United Kingdom and her native New Zealand. 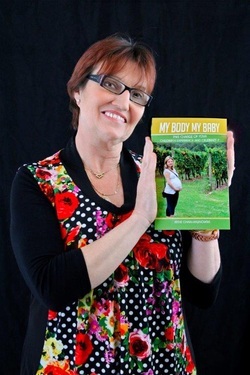 Her new book is MY BODY MY BABY: Take Charge of Your Childbirth Experience and Celebrate It. Visit www.facebook.com/MyBodyMyBaby. Irene Kalinowski talks about some of the adverse effects that traumatic childbirth experiences have on children. Neal Howard: Hello, you’re listening to Health Professional Radio. I’m your host Neal Howard. Our guest in studio today is Irene Chain Kalinowski, a registered nurse and a midwife. She’s got 34 years of experience in the Obstetric Sciences, and she’s also worked worldwide. She’s worked in the United Kingdom, worked in her native New Zealand. She’s done a little bit in the United States, as well as in the Middle East. She’s also an author, of My Body, My Baby: Take Charge of Your Childbirth Experience and Celebrate It. How are you doing this afternoon, Irene?